This recipe turned up in my inbox a couple of weeks ago and I was intrigued. 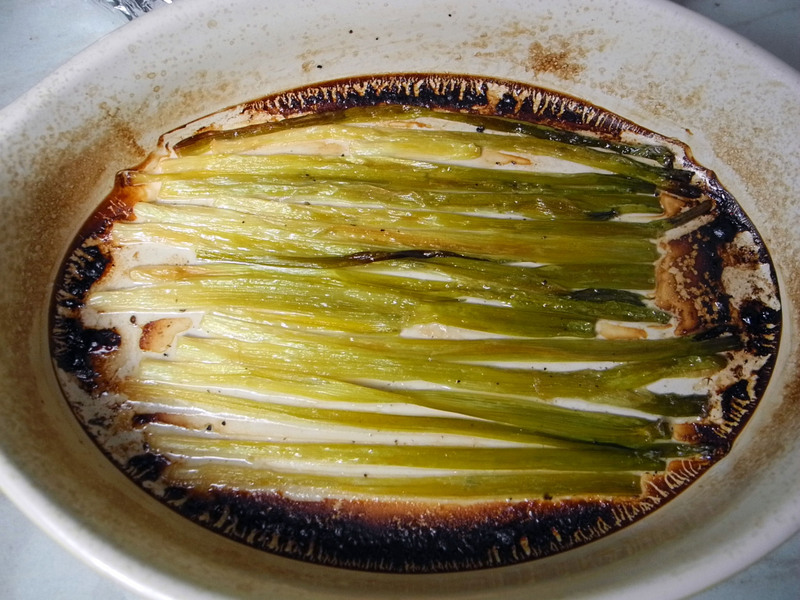 I love using scallions in dishes but I’ve never thought of them as side dish material. The recipe was included in Food52’s weekly digest. It was good timing since I had a small bunch of scallions from my CSA. Unfortunately, I only got around to cooking them tonight so they had seen better days. These were amazing! So good. You basically cook them in the oven with water and butter until they are caramelized. Now I know what to do with those extra scallions I end up with. The original recipe calls for tarragon or parsley and a squeeze of lemon at the end but I left all that out and it still tasted perfect.